3 NIGHTS for $797 plus 4th night FREE includes taxes, cleaning and parking "Special Rate Offer for April and May 2019"
Our beautiful beachy decor 3-bedroom 2-bath condo overlooks the Little Lagoon and the pool. 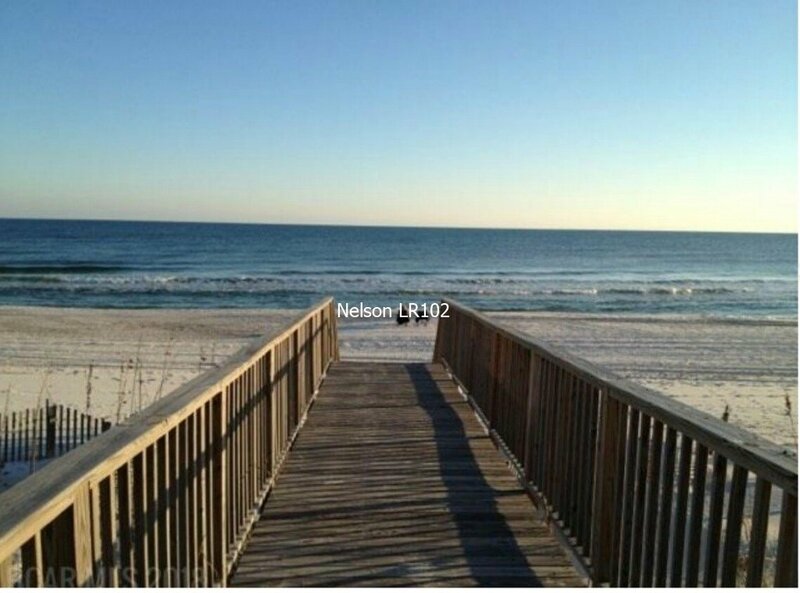 Directly across the street our beautiful beach awaits with your on private beach access. 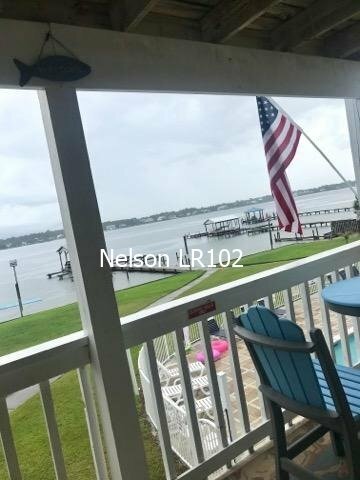 It truly represents the best of both worlds especially since there is a boat launch, boat slips, fishing pier with swings, a fish cleaning station, elevator. Or enjoy your favorite beverage while watching a beautiful sunset from your own private patio. 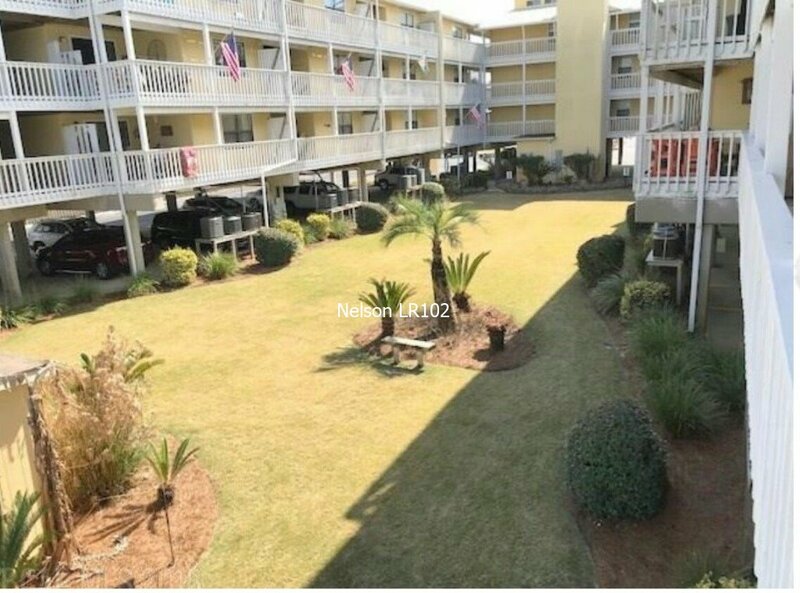 Plus the interior has recently been updated which makes our beautiful beachy condo a excellent choice for your relaxing, fun filled, memory making, family vacation. Guaranteed discount for military, first responders and rerurning guest. Ask about our Spring Special! 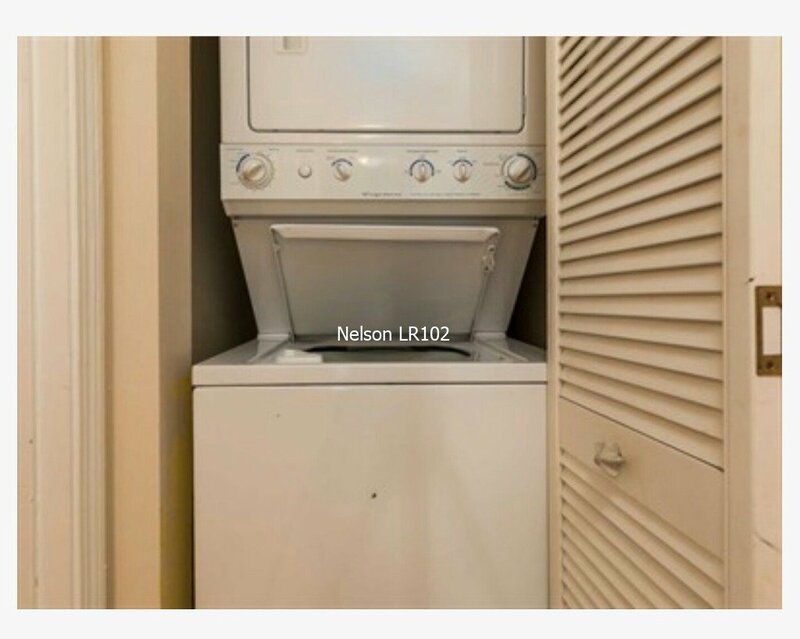 Load dishwasher,set ac to 77, take all trash to dumpster located in from of complex. Do not move furniture inside or outside. House rules on site. Have a happy safe beachy vacation. 30 days prior to check-in. I have stayed in this condominium a few times. It is so clean, and perfectly decorated, and is supplied with the greatest of details. 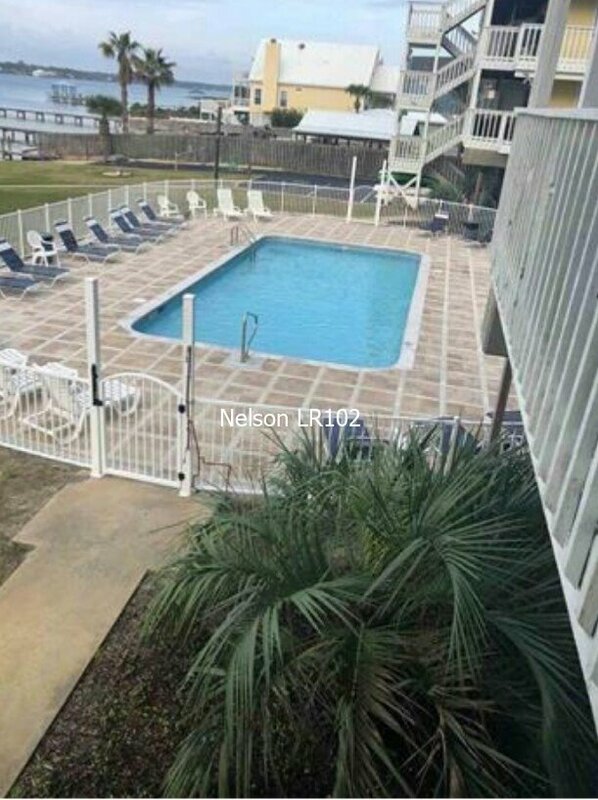 If you have children, they can fish from the pier, swim in the pool, just feet away from the door. 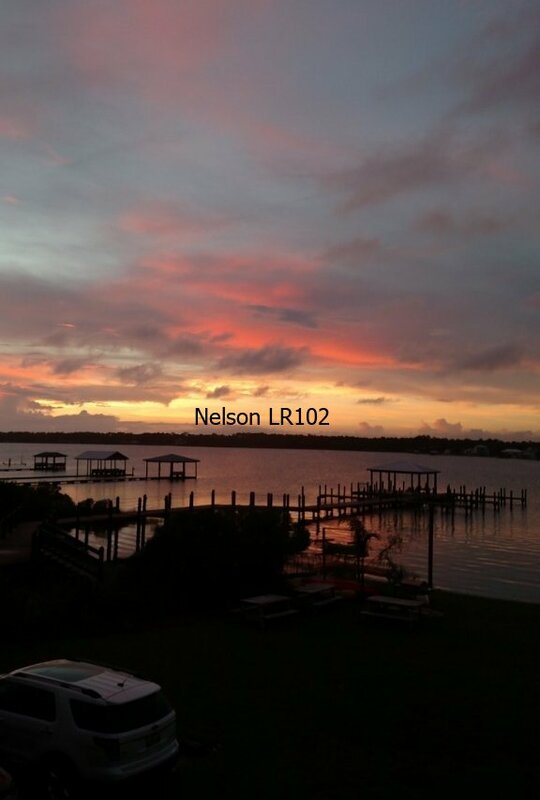 It has a boat launch, and the pier has swings for relaxing and watching the sunset. And if you are Snowbirds you will want to return time and time again, it’s so private and a great place to enjoy the winter months. The view from the deck is stunning! And your only a short walk from the beach. To many restaurants to mention, they have it all. What a wonderfully condo. Beautifully decorated with a open and inviting feel of home. This condo is definitely NOT your everyday rental! Looking forward to our next stay at your beautiful place. My sisters and I spent a long weekend here last month. Had a wonderful time and enjoyed the condo very much. Beautiful views, clean and comfortable. 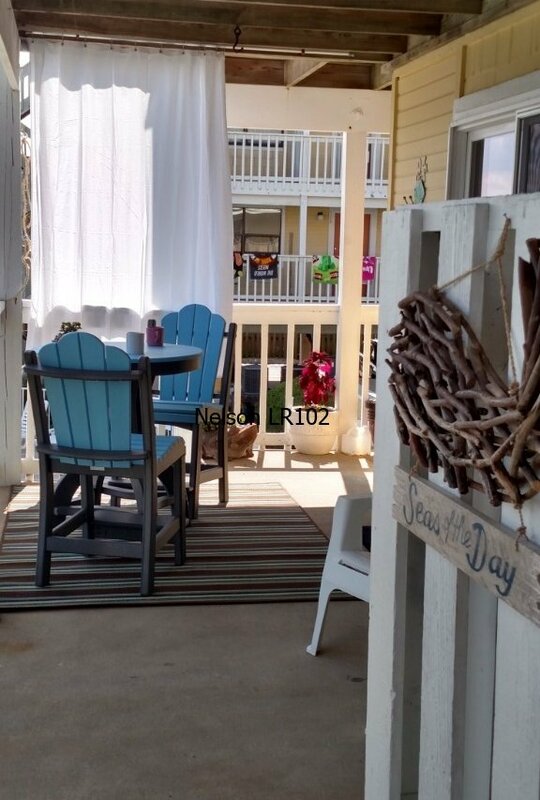 Peaceful and quiet with great access to the beach and pool. 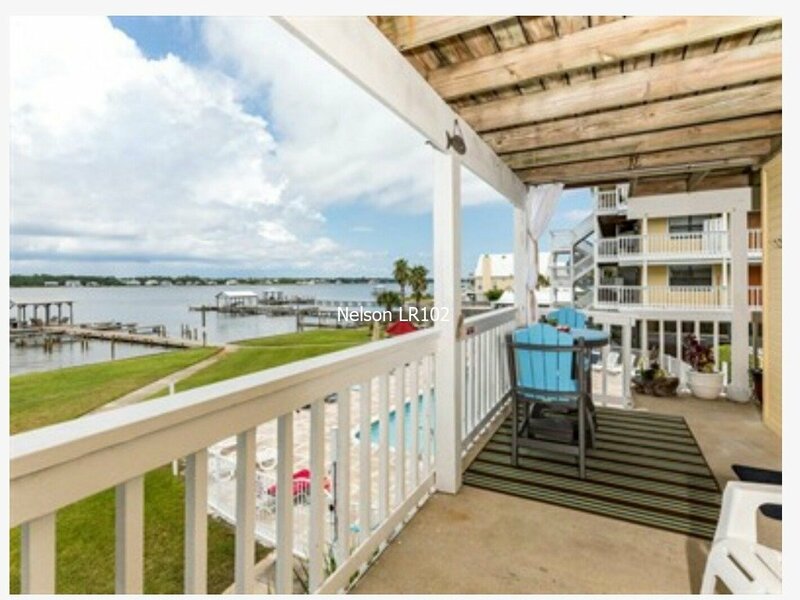 Also has boat dock for fishing. Condo was equipped with everything we needed. Can’t wait till next year to visit again. We’ll definitely stay here again. Highly recommend this condo. Beautiful condo with all the amenities. We have a wonderful time and truly enjoyed the views and it's short walk to the beach. We will definitely make this our go to place in Gulf Shores.